Posted August 27, 2015 by Karen Rayne & filed under Book review. One of the topics I am most often approached about – by both parents and by institutions looking for speaking, training, and direct education for youth – is about technology. Media outrage about the ways that teenagers are using social media like Tinder, Yik Yak, and SnapChat, coupled with rampant misinformation about how safe teenagers are online, has led to mass worry. 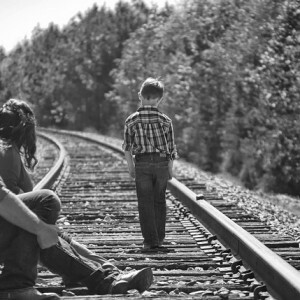 What is missing from the dialogue is an understanding of the ways that social media and the Internet in general provide really important functions within the adolescent developmental trajectory and the ways that teenagers actually use them. 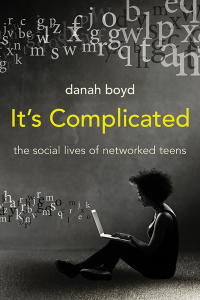 And so the first thing I bring up with faculty, administrations, and parents when they ask about education on technology is danah boyd’s book, It’s Complicated: the social lives of networked teens. There is no better resource – more compassionately written, more thoroughly researched, more steeped in understanding of technology – than boyd’s book. Teenagers engage in tech-based conversations on all of the same topics that they engage about in-person. Sexuality, clearly, is an integral part of that dialogue. So while It’s Complicated isn’t focused exclusively on sexuality, the information is integral for anyone working with teenagers. Searchability: The ability to find content. These four issues are, in many ways, the things that teenagers need to consider when they are interacting online. To have them laid out in non-scary, informational language is extraordinarily useful for them. This kind of presentation works in stark contrast to the horror-story model that much education around technology and sexuality takes. These four elements of technology are actually presented in the introduction to boyd’s book, on page 11 of a more than 200 page book. In the remaining bulk of It’s Complicated, you’ll find a thoughtful analysis of the ways that teenagers use technology, and you may be surprised. The research is top-notch, the stories and examples are intriguing, and the re-contextualization of this highly fraught issue may surprise you. And you know what’s best? boyd has made her book available for to download for free. (Click here to download.) You can, of course, buy a hardcopy, which is what I did. But with a free option there is, I think, no excuse why a modern sexuality educator would remain uninformed about teenagers and technology.